Our large fleet of Road Sweepers operate across East Anglia, servicing Norfolk, Suffolk, Cambridgeshire and the surrounding areas. You can hire our sweepers by the hour and also block book us on a job. Our Drivers are all CSCS registered and hold Johnston training certificates. The sweepers are maintained by our on site specialist team. It is important to us that we keep a head of demand and in 2012 we purchased a compact road sweeper for smaller sites and private work. Like our larger machines, you can hire this compact or mini Road Sweeper by the hour, call for terms. Often our Road Planer is hired at the same time as our sweepers, but you can hire our planer by the day with or without a road sweeper. Delivered by our flat bed lorry all over East Anglia. Ask for more information on discounts when booked with a sweeper. 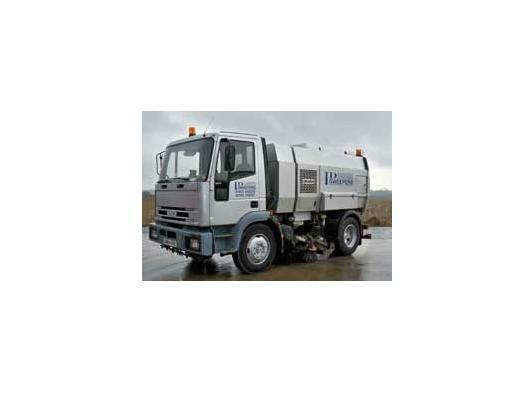 ID Sweepers have been trading a number of years and in this time we have always been known for excellent service, fair prices and a substantial fleet of clean and well presented modern Road Sweepers. Now in 2013 the company continues to grow and provide new services to our extensive customer base. We service a wide and varied customer base including local government authorities, surfacing and planing contractors, as well as regional and national building and construction companies. Abel Homes, Bovis Homes, British Sugar, J Breheny, Breedon Aggregates, RG Carters, Dunston Hall Devre, George Wimpy, Go-Plant, Hopkins Homes, Lafarge, May Gurney, Mansell's, Morgan Ashurst, Suffolk Council, Norfolk Council, Persimmon Homes, University Of East Anglia, Youngs Homes, Barhale, JS Hay, Easton College, Norfolk Park Homes, Pleasurewood Hills, The Caravan Club, West Dereham Plant, Snetterton Race Way, Bateman Groundworks, Baker Construction, Barconn, JS Bloor, Kier Eastern, T. Gill, JMS Contractors, Lovell Partnerships, Fisher Bullen, Rory J Holbrook, Mitie Management Services, Neary Construction, South Midlands Construction, Bam Nuttall Viridor Waste & MORE!